Irrigation systems save you time, effort, and money if properly used. 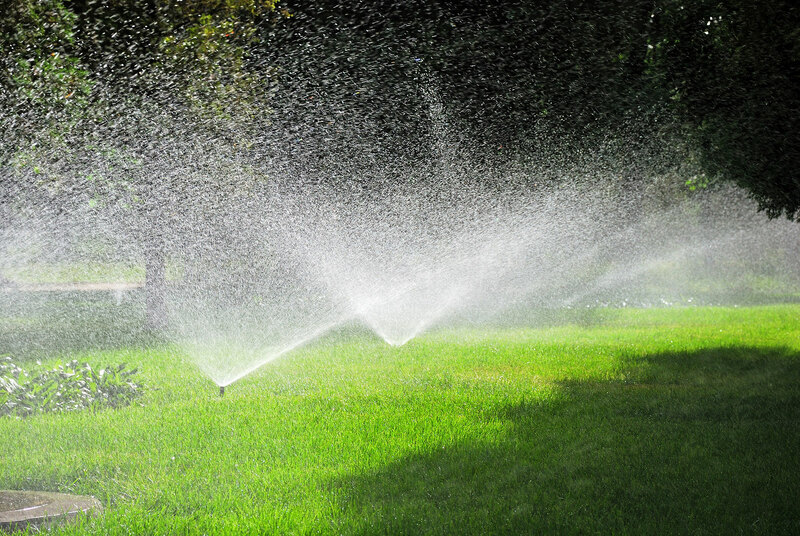 Irrigations systems water your lawn/garden by acquiring water from a spigot. This saves you from having to water your lawn manually.Overhead systems are used to water large areas and spray water high, above the area. While, drip irrigation systems trickle slowly into the soil. It is best to add a timer to turn on and off systems. This will allow your lawn to receive the correct amount of water and save you both money and extra work. The simplest irrigation systems are composed of pipes and tubing that transfer water. Overhead irrigation systems- This is used to water large areas, like your lawn. The system is composed of firm pipes placed underground so you do not damage them when family or friends are on the lawn. Drip Irrigation- Drip Irrigation systems are composed of flexible tubing that transfer water to smaller areas, such as vegetable gardens and delicate plants. Unlike overhead irrigation systems, drip systems are staked in place above ground. Irrigation systems control how water flows through a system of piping using valves. To prevent backflow, all irrigation units must have anti-siphon valves or a backflow preventer. This stops water from flowing back into the main water line and contaminating your water. If you need to repair or work on your system, you should shut off your ball valves. You can find the ball valves at the top of both drip and overhead systems. Overhead irrigation- Control valves allow you to form zones so you can decide what areas of the yard to water. The top of the sprinkler head is the only visible part of the system because the rest is installed underground. The heads are sometimes colored to designate what kind of water is being used, either fresh or reclaimed. Drip irrigation systems- Use a pressure reducing valve preventing the emitter head from popping off from the water pressure coming from the spigot. The two main overhead sprinkler head types are stationary and rotary. Stationary sprinklers pop out of the ground and mist areas up to 4 to 15 feet where rotary sprinklers shoot water up to 25 to 60 feet. A drip system is made up of flexible tubing that uses emitters to water plants. The flow rate of the emitters should counterpart the specific plants needs and soil type so it distributes the correct amount of water. Bubbler emitters are used for plants that need to develop deep roots, like shrubs this is why these emitters flow at higher rates compared to drip emitters that flow at lower rates. Drip emitters flow anywhere from ½ to 10 gallons each hour. Drip emitters are designed so water isn’t discharged between rows onto the soil. This prevents weed growth and is ideal for vegetables. A timer allows you to program an irrigation system, controlling when it turns on and off. Overhead irrigation systems use an irrigation controller that is multifunctional. This timer decides when the system should turn on and off and the amount of water that will be allocated to each zone. When it rains, a rain sensor tells the irrigation controller to turn off. Whereas, drip irrigation systems are only activated/de-activated for the particular time you set it. Previous Previous post: Perfectly Planning for the Impeccable Garden!